Ah note the strategic location of the Bulbul's maternity nest! 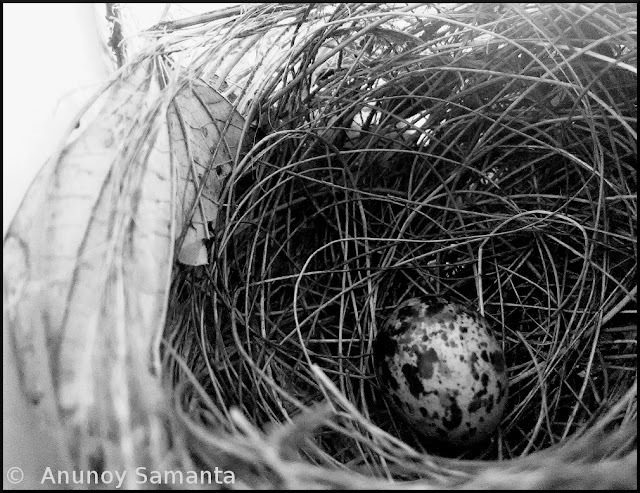 Last year in mid-April a lady Bulbul had nested in my rose shrub and laid few eggs which I had to shoot very carefully from a safe distance with my superzoom camera (Click here to checkout the last season's photo story of a Lady Bulbul hatching her eggs). 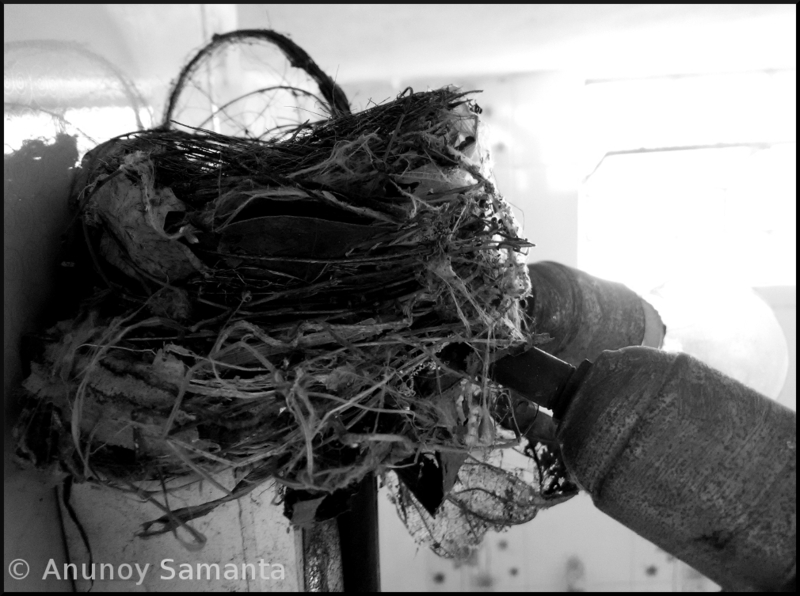 This time, another red-whiskered lady Bulbul obliged me by nesting over my washroom lamps! I'm trying to get more control over my bowel and bladder habits so that I don't need to disturb the hatching lady when she's present in the bathroom. 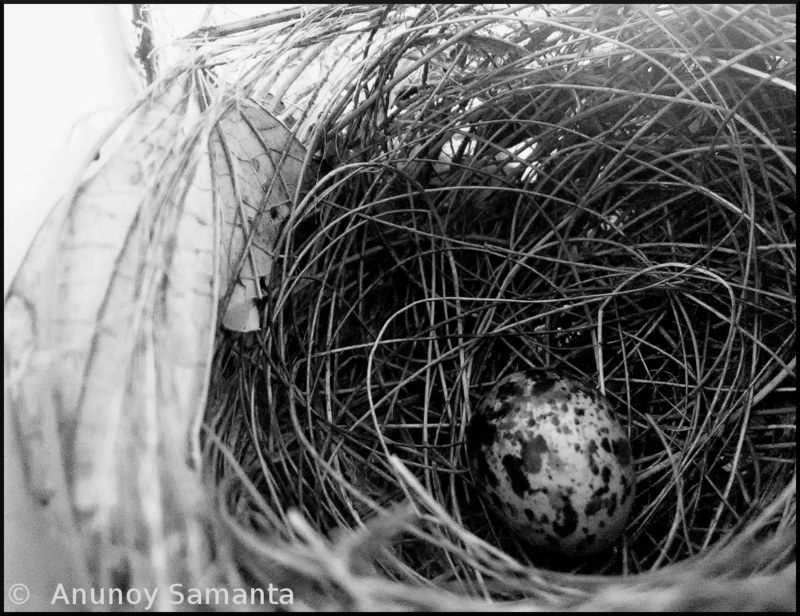 But, when she left for a break I couldn't control my curiosity to check how many eggs the nest is holding this time. It is only ONE. As the nest is resting over the lamp holders there's hardly any space to click with my camera. There is so little gap between the top edge of the nest and the washroom ceiling that the egg can't even be visualized by a tender peep. Mobile camera came to rescue. Due to inadequate light the bulbul egg could not be focused sharply but I had to be real cautious so that my childish clicking zeal doesn't tamper with the safety of a prospective avian life. Please shower the lady with your good wishes. But why did she lay only one egg this time? May be she's motivated to family planning!